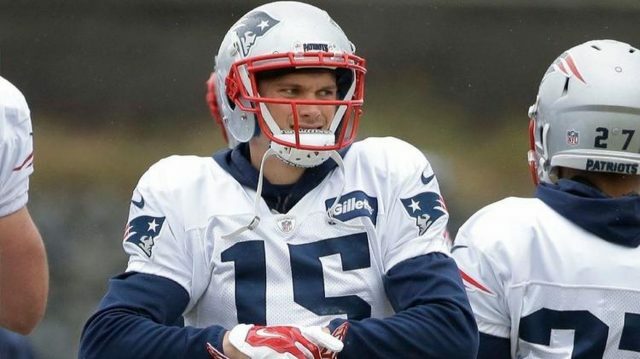 The New England Patriots will have to find help at wide receiver elsewhere as they have lost a chance to keep one of last year’s starters. National NFL insider Ian Rapoport reported that wide receiver Chris Hogan has reportedly signed with the Carolina Panthers. The #Panthers added WR help late in the process, signing former #Patriots WR Chris Hogan to a 1-year deal. Hogan, 30, recorded 107 career catches with the Patriots accompanied with 1,651 yards and 12 regular season touchdowns. Signing a three-year restricted free agent offer sheet in 2016, Hogan played in three Super Bowls, winning two against the Atlanta Falcons and Los Angeles Rams. Barring Josh Gordon’s possible return, the Patriots currently have Julian Edelman, Phillip Dorsett, Braxton Berrios, Damoun Patterson, Maurice Hunt, Bruce Ellington, and Matthew Slater as their listed receiving corp thus far. The team recently held a visit with former Denver Bronco and Houston Texan Demaryius Thomas. Thomas has ties to the Patriots being drafted by then Broncos head coach Josh McDaniels who is now the offensive coordinator for the Super Bowl champions.